Hello, Sweet Friends! My graduate class wrapped up yesterday and I am so happy to have my summer back. It was my first graduate class in about four years, so I wanted to give myself the gift of time to adjust to being a student again. Plus a semester's worth of work is crammed into four weeks, so things got pretty intense with daily readings and discussion boards and multiple projects. Since I wanted to still enjoy my sweet puppies and husband, I had to turn off my blogger brain for awhile, but I missed it so, so, so much! 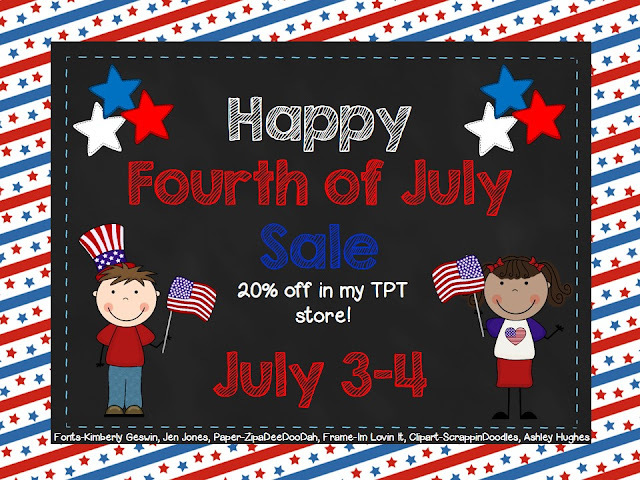 Special thanks to the sweet Latoya at Flying High into First Grade for the adorable sales graphic!